Are you recovering from all that candy last night? We didn't have as many trick-or-treaters this year. We only had about 20 kids when last year we had about 60. I let my son pass it out and after the first hour we had TONS of candy left so he started piling it into the kids bags who showed up! Then he would just giggle about how fun it was to see the kids face when they get about 20 - 30 pieces of candy from one house - LOL! He ended up giving it all out :) It was his first time passing it out and I think he had a lot of fun. My husband was mortified that he gave all the CHOCOLATE candy away! Usually I have to buy candy for the trick or treaters and then a special bag of chocolate candy bars for my husband so he stays out of the candy for the kids. He wasn't going to be home so I didn't do that this year so when he did get home he was expecting his chocolate - LOL - Oops! 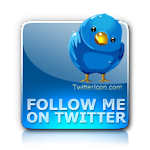 Today I have a super cute card created by Ceal to share with you! 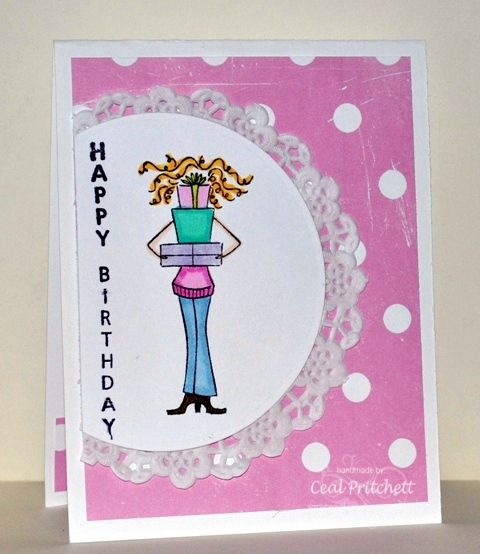 Ceal used a really cute image from Stamping Bella called Curly Surpriseabella. 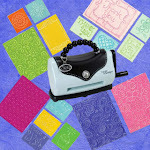 We have just a couple of the bella stamps in currently and will be expanding this line as soon as we can. If you ever have one you will be needing for a special occasion, just shoot us an email and we will try and get it in as quick as we can for you :) I love the beautiful layout that Ceal used with the doily behind the main image panel. Makes it a simple but classy card that any girl would love! 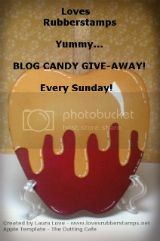 Don't forget to leave a comment on our Sensational Sunday Post for a chance to win a gift voucher to our store! Here is the photo! 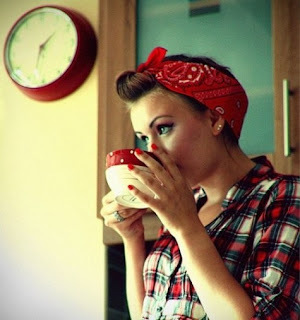 Just think of all the ways to be inspired... the colors, the plaid pattern, the lady herself, the bandanna, the hot beverage... How fun! We hope you play! 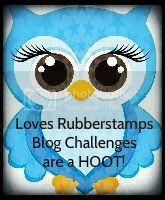 Have a great day & Happy Stampin! That is so funny, your husband and I think alike, lol. I have to have my bag of tootsie rolls every year, lol. My son also gets a big kick out of handing out to the last 2-3 trick or treaters when we get home from the big haul, lol. Love this cute card! The colors and the image are fabulous. Love the card design too.